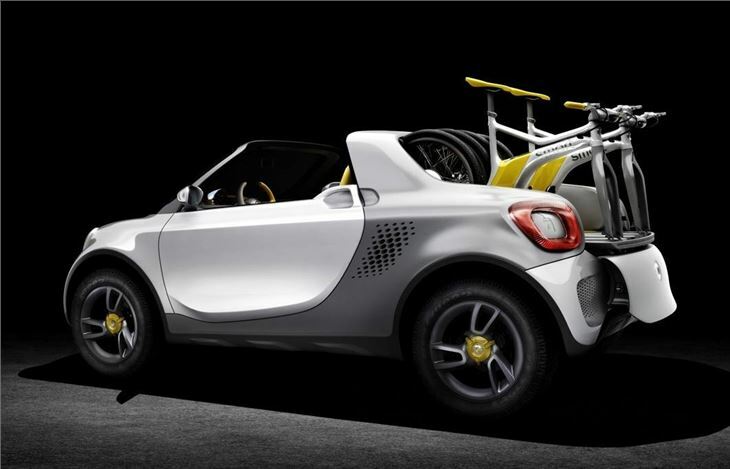 Quirky Smart pick-up with two electric bicycles in the back. Only a concept and not ever likely to become production. 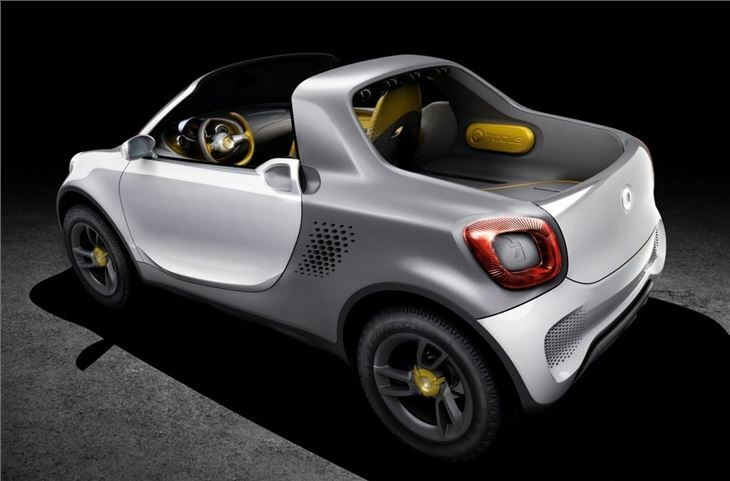 Smart has been quiet of late with just the ForTwo soldiering on as its only model. But that doesn't mean the brand isn't coming up with new ideas, as the For-Us concept shows. 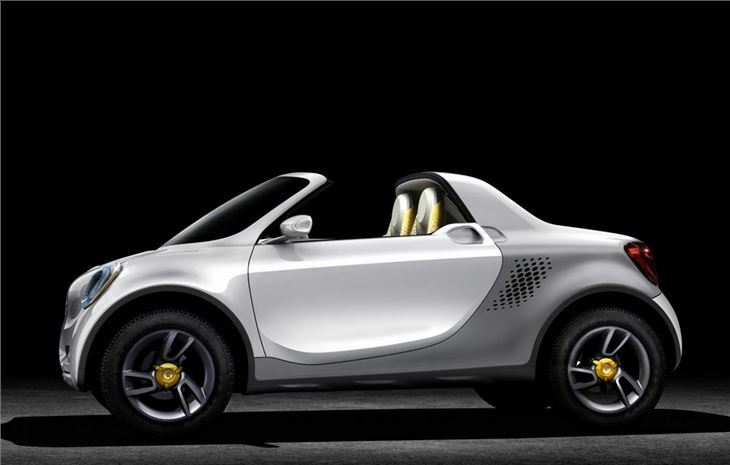 It's actually a small pick-up that's just 3.5 metres long and is powered by an electric motor, meaning zero exhaust pipe emissions. In the front there's room for two and behind them are two electric Smart eBikes. 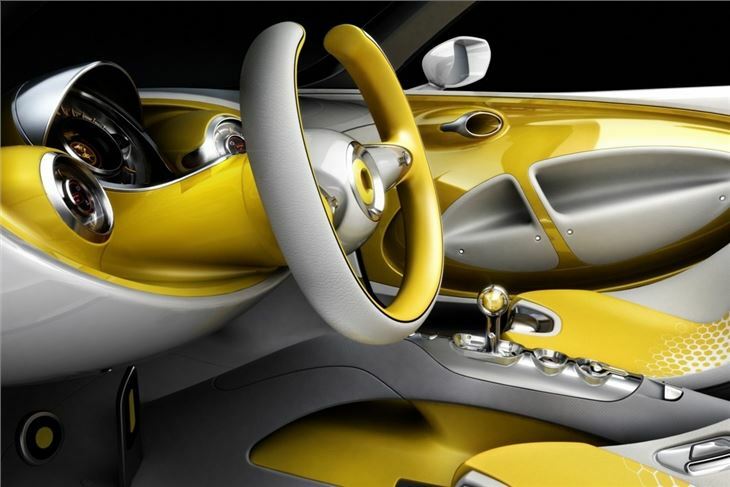 The front seats are actually more like seat shells, which are open in the middle and covered with a soft yellow fabric giving them a hammock-like look. The For-Us pick-up has a docking station in the cargo area which means that the batteries of the bicycles are always charged and ready to go. So if there's somewhere you can't take the car, you can still get there on a bike. The pick-up load area slides out electrically making it easy to take the bikes out. 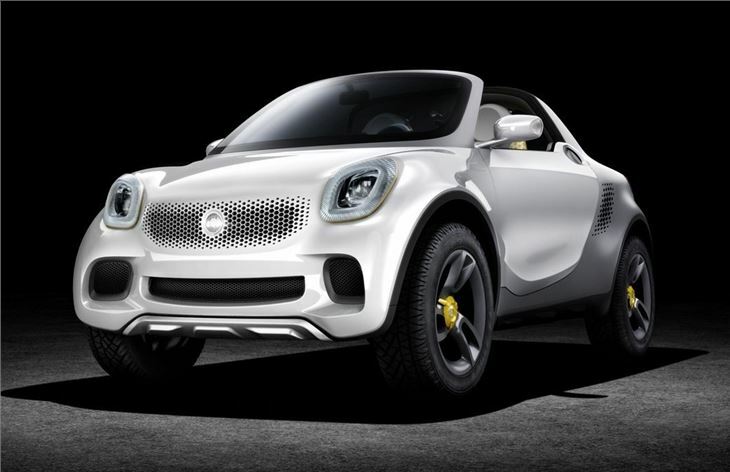 It's powered by a 55kW magneto-electric motor which is the same one used in the ForTwo electric drive which will be launched this spring. It has 130Nm of torque and a top speed of 75mph with Smart saying it delivers lag-free acceleration and is 'agile and lively' to drive. The interior is finished in mother-of-pearl white with brushed aluminium and the whole cockpit is designed to maximise ventilation. Instead of a conventional rearview mirror the For-Us has a smartphone that sits in a holder on the instrument panel. The driver can then see what is happening behind with the help of an integrated video camera. nice but not quite a full car!